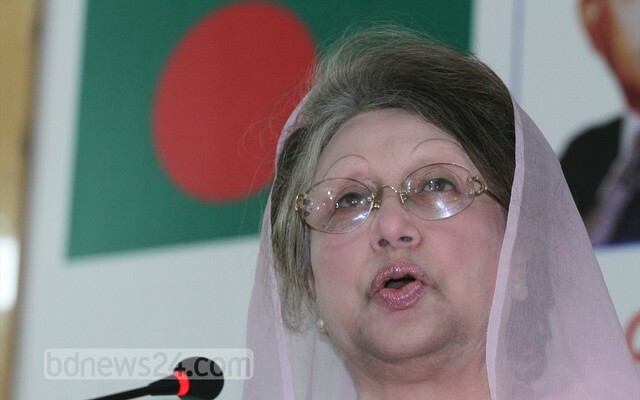 BNP Chairperson Khaleda Zia will meet leaders of the 20-party alliance led by her party on Sunday. The meeting of 20-party Alliance leaders is scheduled for 8pm at her Gulshan office, Press Secretary to the BNP chief Maruf Kamal Khan told bdnews24.com. Alliance leaders said that they were yet to be informed about the agenda of the meeting. “We do not know what will be discussed, but the death of Kazi Zafar Ahmed, chief of Jatiya Party faction and one of our allies, current political situation and the hike of power and gas prices may be discussed,” Islami Oikya Jot Chairman Abdul Latif Nezami told bdnews24.com. Bangladesh Energy Regulatory Commission announced a 26.29 percent hike of gas prices and a 2.93 percent increase of power on Thursday, effective from Sep 1. The BNP protested the hike in a Saturday press conference, but did not announce any agitation against the hike. The last time Khaleda met with her allies was on Aug 12, which was attended by Jatiya Party faction leader Kazi Zafar Ahmed. He died on Wednesday at the age of 76. Kazi Zafar, a Jatiya Party (JP) leader for over three decades and a former prime minister in HM Ershad’s government from 1989 to 1990, had been expelled by Chairman HM Ershad in November 2013. He then formed a party with the same name and joined the BNP-led alliance in January 2014.